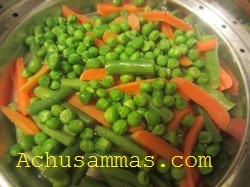 · Steam carrot, peas,beans (You can use any vegetables). 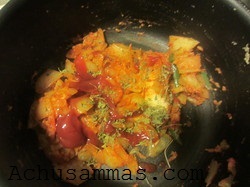 · Add all steamed vegetables, capsicum and paneer and mix with masala Add more salt if needed. 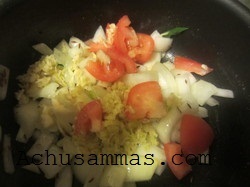 · Cook for 5-10 minutes on low heat. 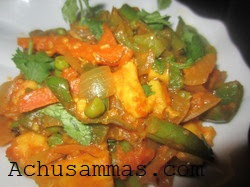 Love this with rotis, superb.. 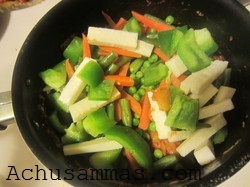 Healthy dish with lot of veggies!!! 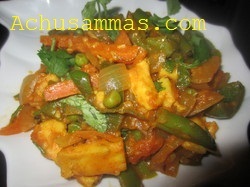 Luks real yumm n Awesome recipe Dear. Glad to follow U. Do visit my space in ur ree-time. Yummy. Made it once, but thought it was too much work to make it again! 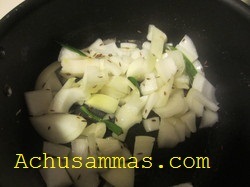 Delicious and perfectly done ..I add little vinegar into it..
Inviting and delicious jalfrezy !! I can already tell by looking at your pics that they are great with chapatis..love some. MMmmm! Yummy! Looks colorful...and nutritious! A must try...Thanks for sharing!